Creative’s Sound Blaster remains a legendary name in PC gaming, although today’s gamers might be more familiar with the company’s speakers and headphones than their iconic sound card. 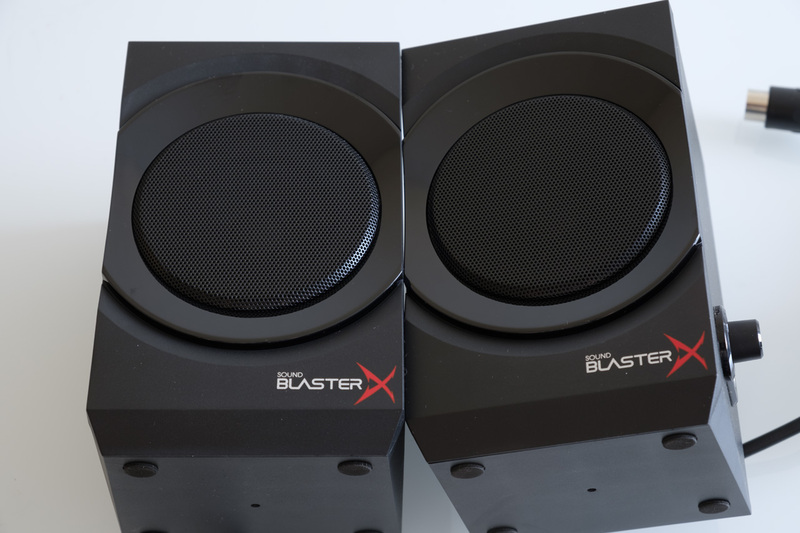 Today we’re looking at the Sound BlasterX Kratos S3, a 2.1 desktop speaker system with a focus on gaming that retails for just under £70. The Kratos S3 have a typical gamer design, made from glossy black plastic, matte black wood and a few red accents. Each satellite is angled upwards slightly, as befitting their expected placement on a desk, while the subwoofer is elevated by four chunky feet. The right satellite includes a volume knob, with a subtle red LED when the speakers are on. 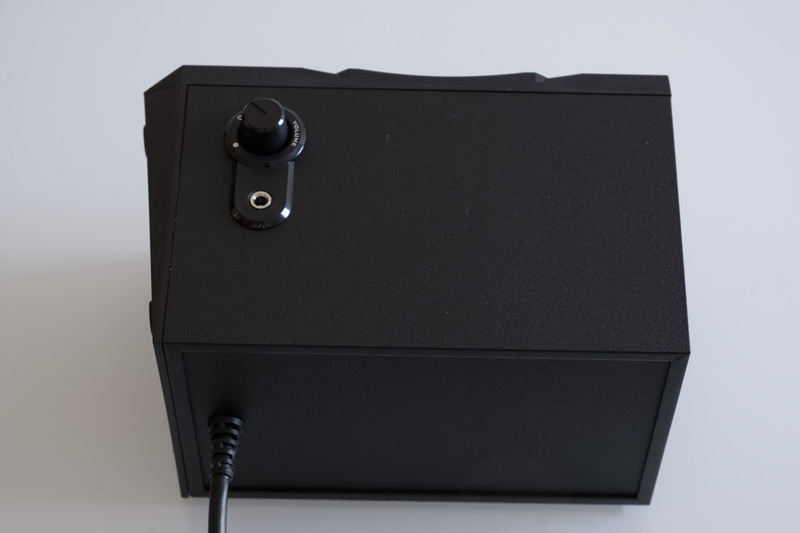 A headphone port sits just behind the volume knob, allowing a more convenient way of connecting speakers than rooting around underneath your desk. 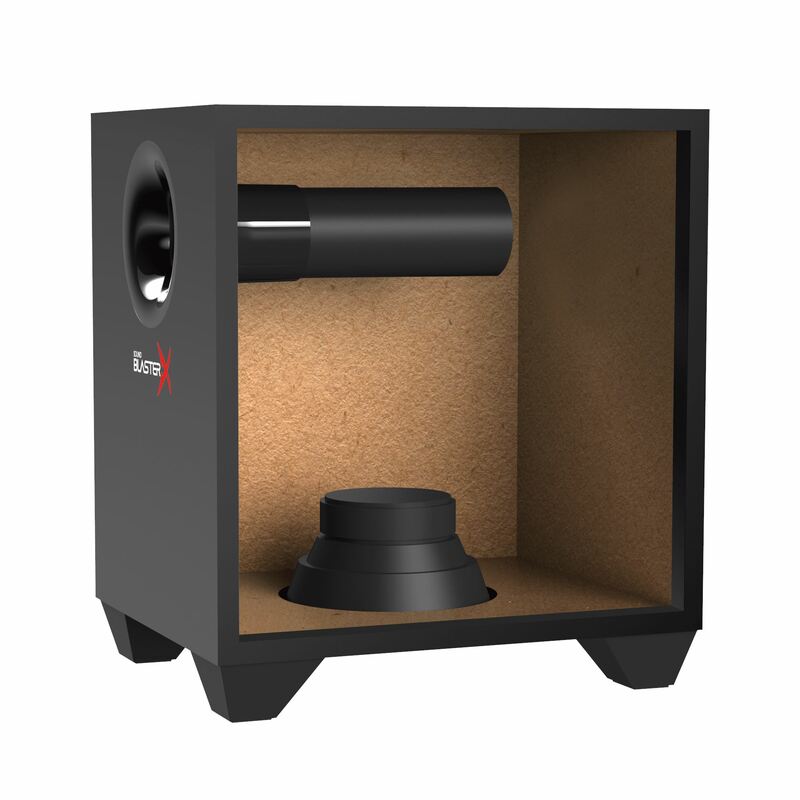 The back of the subwoofer includes a bass level knob, allowing you to tune the bass for your listening preferences and environment. It’s also where everything else plugs in. The left speaker connects using an RCA cable, while the right requires a 13-pin DIN cable. As this is a 2.1 system, only a single 3.5mm line out cable is required. Finally, the non-removable power cable is also present here. The simple, classic design of these speakers definitely appeals, but how do they actually sound? How easy are they to use? The testing section will answer these questions, so let’s head on over! 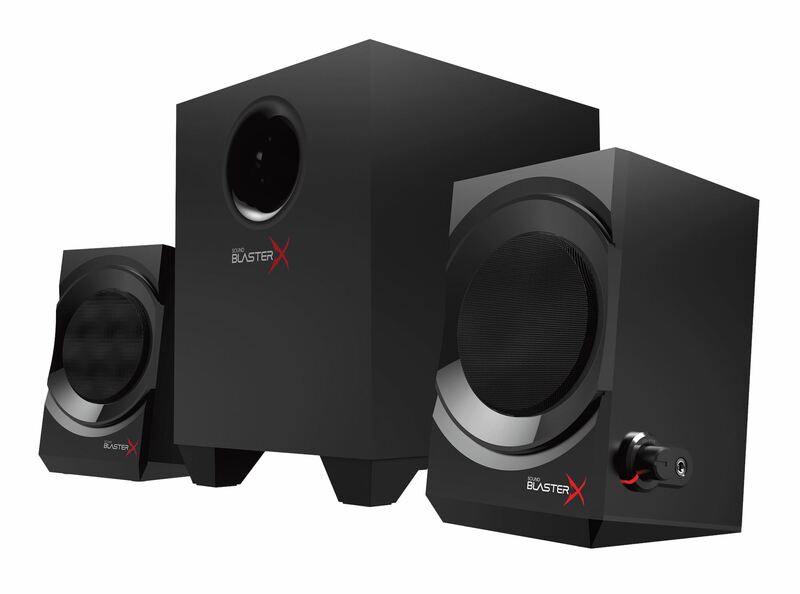 We used the Kratos S3 speakers for a period of two weeks, testing them for gaming, television and movies. Here are our impressions. First of all: setup. This was a very straightforward system to assemble, as each component can only connect to the other in one very obvious way. Once connected, it’s plug-and-play; choose your volume and bass level and you’re away. It’s a bit vexing that the bass knob is hidden on the back of the subwoofer, but it does make for a simpler and cleaner look. Along similar lines, it would have been nice to have a second 3.5mm input or Bluetooth compatibility for connecting a smartphone or games console, but these are understandable non-inclusions due to the price. Once turned on, our review unit started to produce a soft but high-pitched whine, which persisted at the same level regardless of volume setting. This was quite discernible during moments of quiet in games or films, and proved quite annoying. This persisted the entire time the speakers were on, whether connected to a computer, Android smartphone or nothing at all. 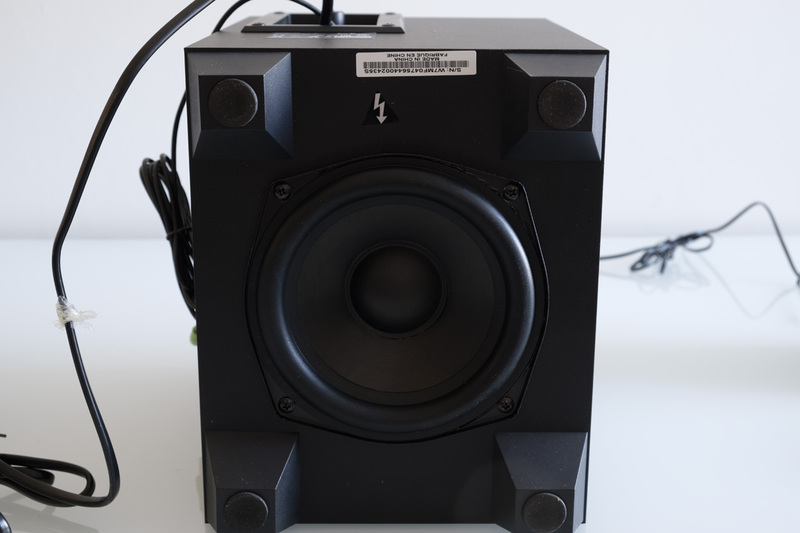 Different speakers used in an identical setup (same connection to a PC, same power outlet) didn’t produce any similar noise, suggesting an issue with the shielding of our review unit. Other reports online suggest this is not a one-off case, sadly. Otherwise, the S3 produced some pretty respectable tones. Despite the minimal size of the satellites, they can get very loud; we didn’t often need to exceed 33% volume (except for the obligatory full volume rendition of the 1812 Overture). The satellites produced relatively clear mids but lacked a little in the upper registers, particularly at higher volumes. However, for games this was more than adequate given the relatively low price point. 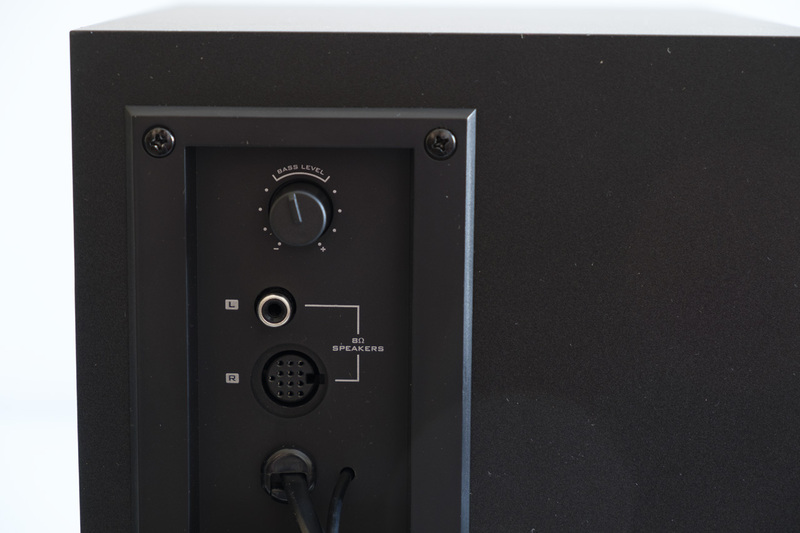 The subwoofer ranged from ‘discernible bass’ to ‘the neighbours came over to complain’, although we’d recommend sticking to the 60% mark or below to avoid a bloated sound. However, in moderation the subwoofer added a nice level of bombast to dramatic set pieces in video games and movies. 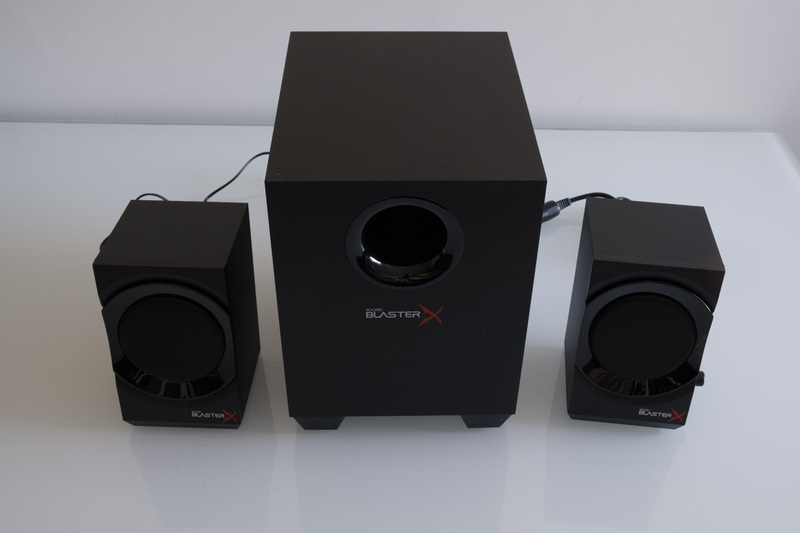 Creative’s Sound BlasterX Kratos S3 are a solid set of desktop speakers for gaming use, with the subwoofer’s prominent bass providing a more cinematic audio experience than your standard 2.0 speakers. We did find a few flaws as well, including an annoying high pitched whine from our review unit, so you may want to order these from a retailer with a reasonable return policy (e.g. Amazon). Regardless of these niggles, the Kratos S3 are a compelling pick at the sub £100 price bracket.